The Curragh will celebrate the 150th anniversary of its signature race, the Group 1 Irish Derby, on June 27. During the course of festivities, officials will hold a special tribute to St. Jovite, who captured the 1992 Irish Derby by 12 lengths in the record time of 2:25.60. No Irish Derby winner has come close to that performance; as the Racing Post notes, 2001 winner, Galileo, posted the second-fastest time of 2:27.10. Payson has been considering returning St. Jovite to the U.S. and having him join the band of equine retirees at her Florida farm. The current roster of retirees include St. Jovite's 32-year-old full brother, Lac Ouimet, and his 33-year-old half brother, Salem Drive. 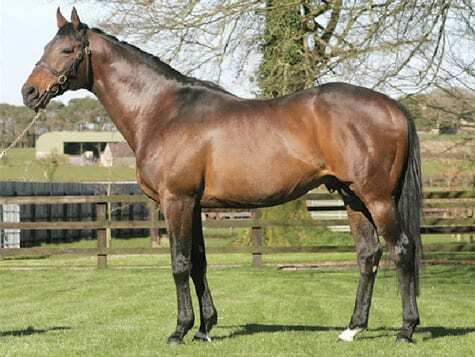 The 26-year-old St. Jovite has resided at Ballysax Manor Stud near the Curragh for the past two years after standing at Greentree Stud in County Tipperary. Payson is unsure whether she would be able to bring St. Jovite home, or if it would be best to let him remain in Ireland. This entry was posted in Bloodstock and tagged Horse Racing, lac ouimet, northern sunset, payson park, payson stud, salem drive, st. jovite, thoroughbred, virginia kraft payson by Paulick Report Staff. Bookmark the permalink.